What is the cheapest way to get from Cross Hotel Osaka to Nara? The cheapest way to get from Cross Hotel Osaka to Nara is to drive which costs ¥380 - ¥600 and takes 21m. What is the fastest way to get from Cross Hotel Osaka to Nara? The quickest way to get from Cross Hotel Osaka to Nara is to taxi which costs ¥11000 - ¥14000 and takes 21m. Is there a direct train between Cross Hotel Osaka and Nara? Yes, there is a direct train departing from Osaka-Namba and arriving at Shinomiya(Nara). Services depart every 20 minutes, and operate every day. The journey takes approximately 35m. How far is it from Cross Hotel Osaka to Nara? The distance between Cross Hotel Osaka and Nara is 28 km. The road distance is 32.2 km. How do I travel from Cross Hotel Osaka to Nara without a car? The best way to get from Cross Hotel Osaka to Nara without a car is to train which takes 39m and costs ¥500 - ¥600. How long does it take to get from Cross Hotel Osaka to Nara? 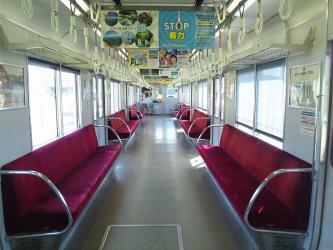 The train from Osaka-Namba to Shinomiya(Nara) takes 35m including transfers and departs every 20 minutes. 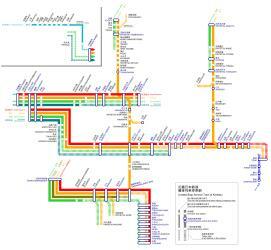 Where do I catch the Cross Hotel Osaka to Nara train from? Cross Hotel Osaka to Nara train services, operated by Kintetsu Railways, depart from Osaka-Namba station. Where does the Cross Hotel Osaka to Nara train arrive? Cross Hotel Osaka to Nara train services, operated by Kintetsu Railways, arrive at Shinomiya(Nara) station. Can I drive from Cross Hotel Osaka to Nara? Yes, the driving distance between Cross Hotel Osaka to Nara is 32 km. It takes approximately 21m to drive from Cross Hotel Osaka to Nara. Where can I stay near Nara? There are 234+ hotels available in Nara. Prices start at ¥4135 per night. What companies run services between Cross Hotel Osaka, Japan and Nara, Japan? 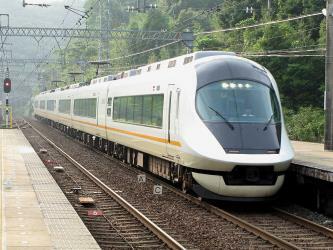 Kintetsu Railways operates a train from Cross Hotel Osaka to Nara every 20 minutes. 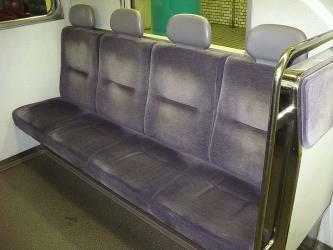 Tickets cost ¥500 - ¥600 and the journey takes 35m. Isui-en is a Japanese garden located in Nara, the old capital of Japan near Kyōto. It has been preserved since its creation in the Meiji era, and is the only walking garden (kaiyushiki teien) in Nara. It is divided into two sections, which were originally two separate gardens, and each features a pagoda. Tōdai-ji is a Buddhist temple complex that was once one of the powerful Seven Great Temples, located in the city of Nara, Japan. Its Great Buddha Hall houses the world's largest bronze statue of the Buddha Vairocana, known in Japanese as. The temple also serves as the Japanese headquarters of the Kegon school of Buddhism. The temple is a listed UNESCO World Heritage Site as one of the "Historic Monuments of Ancient Nara", together with seven other sites including temples, shrines and places in the city of Nara. Deer, regarded as messengers of the gods in the Shinto religion, roam the grounds freely. Kasuga Grand Shrine is a Shinto shrine in the city of Nara, in Nara Prefecture, Japan. Established in 768 CE and rebuilt several times over the centuries, it is the shrine of the Fujiwara family. The interior is famous for its many bronze lanterns, as well as the many stone lanterns that lead up the shrine. Kōfuku-ji is a Buddhist temple that was once one of the powerful Seven Great Temples, in the city of Nara, Japan. The temple is the national headquarters of the Hossō school and is one of the eight Historic Monuments of Ancient Nara inscribed on the UNESCO World Heritage List. Rome2rio makes travelling from Cross Hotel Osaka to Nara easy. Rome2rio is a door-to-door travel information and booking engine, helping you get to and from any location in the world. 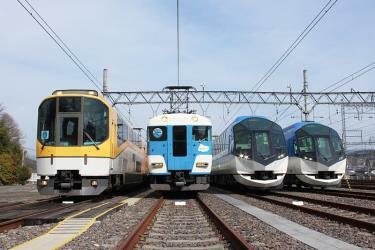 Find all the transport options for your trip from Cross Hotel Osaka to Nara right here. Rome2rio displays up to date schedules, route maps, journey times and estimated fares from relevant transport operators, ensuring you can make an informed decision about which option will suit you best. Rome2rio also offers online bookings for selected operators, making reservations easy and straightforward.